Static grass applicators cost silly money, right? Well, no. Inspired by this Tweet from Matt at Playing the Odds I thought I’d take a crack at building my own. And it works! Warning: minor-level mad science involving electricity from here on. You probably know whether you should be attempting this kind of thing or not. And that’s it! I got a tea strainer and a fly swat off Amazon, total spend: £5.67. Some places will charge you upwards of £30 for essentially the exact same thing. The really gucci ones can be over £100. 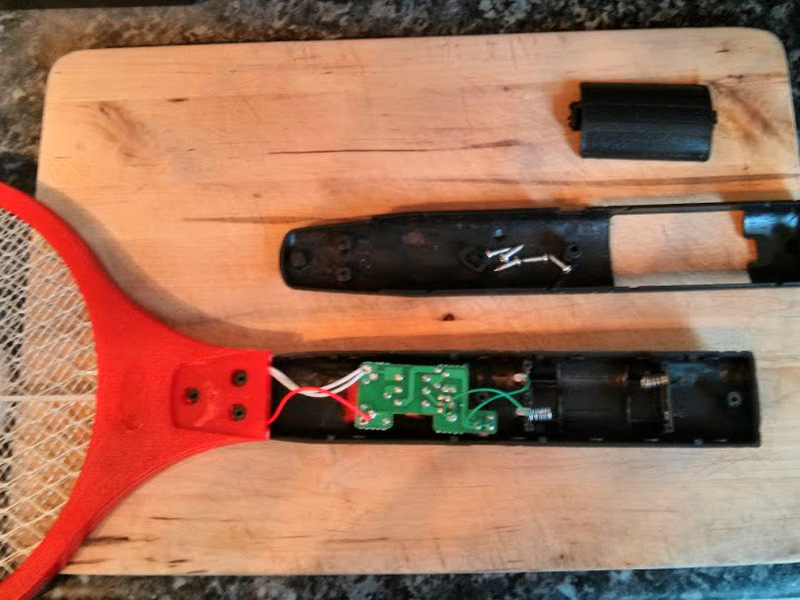 The innards of the fly swat. 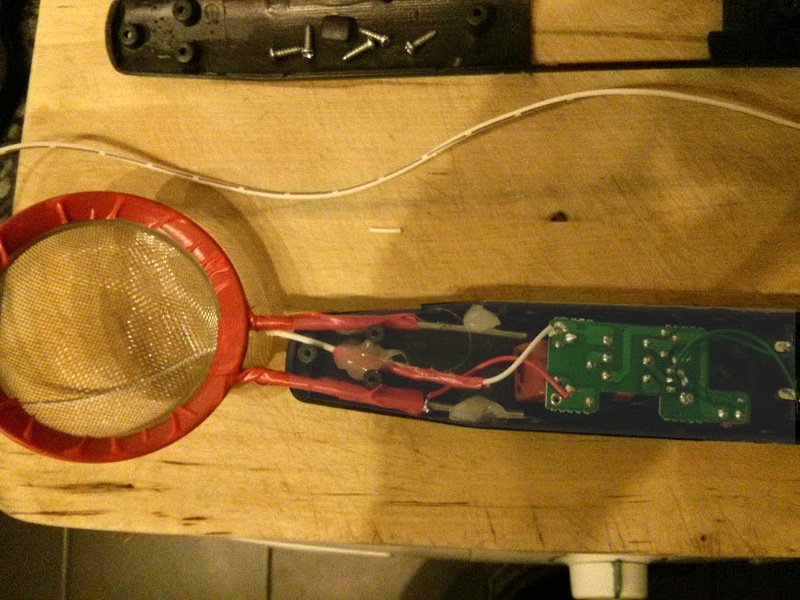 The fly swat has a little PCB with three wires. One runs to the live middle section of the head, and the other two are earths that run to either side of it. We only need one earth, so you can cut one right off at the PCB. Cut the other two wires and ditch the head. At this point I was curious to see what sort of belt this thing could put out, as others have said it can give a painful shock. Pressing the button showed 900VDC across the two wires! Ow! The two AA batteries will never put out enough power to do you any harm, but I can see why people mention the bite. First job then: I wrapped the sieve in insulating tape. I cut the end off the sieve and bent it a bit to fit, then blobbed it in with hot glue. I soldered the live wire onto the sieve and connected one of the earths to a length of wire and stuck a thumb tack at the end of it. The long white wire is the earth with a pin at the end. Plenty of electrical tape on the sieve to (hopefully) prevent shocks! Up till now I’d been using the stupidly low tech “balloon and a jumper” technique for static grass, but this definitely does a better job. The kids will probably thank me for not nicking their balloons, too! That has turned out great! Glad it did the trick. Really good idea on insulating the sieve, can’t believe we didn’t think about it (or maybe we were having too much fun shocking each other…)! Yeah, not had a zap from it yet. The mesh part is still live, how long do you reckon my luck will hold? A very neat tutorial. Might have to give it a whirl.